St Mary the Virgin Church dates from the 11th century and is set in the heart of the village, facing Morcott Hall and the High Street and overlooked by the cottages on Church Lane and School Lane. Morcott Church is a Grade 1 Listed architectural gem featuring probably the finest original Norman arches in Rutland. The church is open to visitors every day (typically 9.30am to 6pm, closing earlier in winter). Regular services at Morcott Church are held twice a month, at 11am on the First and Third Sundays. Our usual service is Holy Communion, following the Common Worship format. Additional services are held on special festivals such as Easter, Harvest, Remembrance and Christmas. 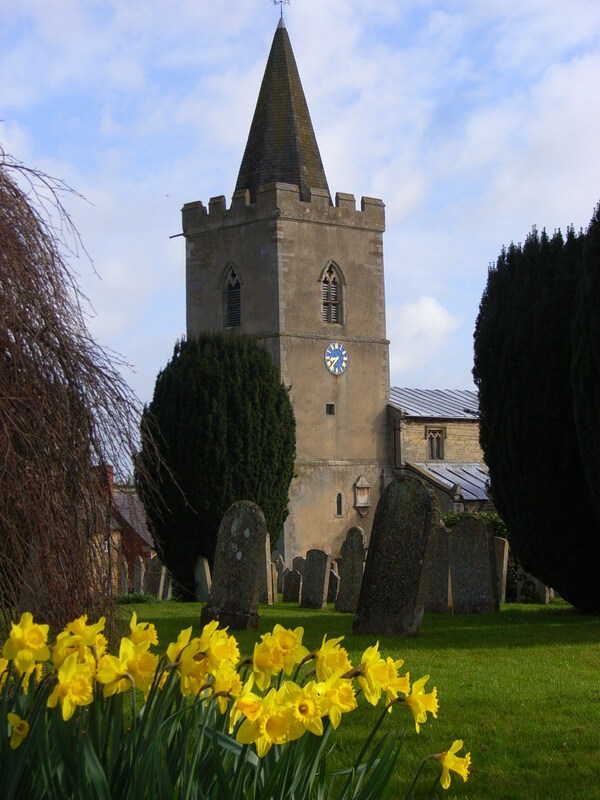 FORTHCOMING ADDITIONAL SERVICES Mothering Sunday falls on 31 March this year and as this is a ‘5th Sunday’ our group of churches has just one service which this time is at South Luffenham at 10am: all Morcott is welcome. Morcott is hosting the group’s Good Friday service on 19 April 2019 @ 2pm. The Very Reverend Christopher Armstrong is the Priest-in-Charge of Morcott, as well as Barrowden, South Luffenham, Duddington and Tixover churches, which together make up the Welland Fosse Benefice. His post is part-time, typically Friday, Saturday, Sunday and Monday each week. He is based in Barrowden. Your first point of contact for Church or pastoral issues in Morcott is one of our churchwardens: Mr Eric Hazelwood (01572 747 175) and Miss Jane Williams (01572 747 157). Query answered by churchwarden via email. I do not know if this message will be received or if it is that the right person will be able to address the query but I am hoping so. My ancestors Joseph Charter & Elizabeth Dickens were married there on 4 Nov 1776. I am hoping that the church record will confirm this and if so does the record list the names of the parents and any other pertinent information. The little information I do have was provided by the Mormon church here in the US so I am not sure of the validity of the information.